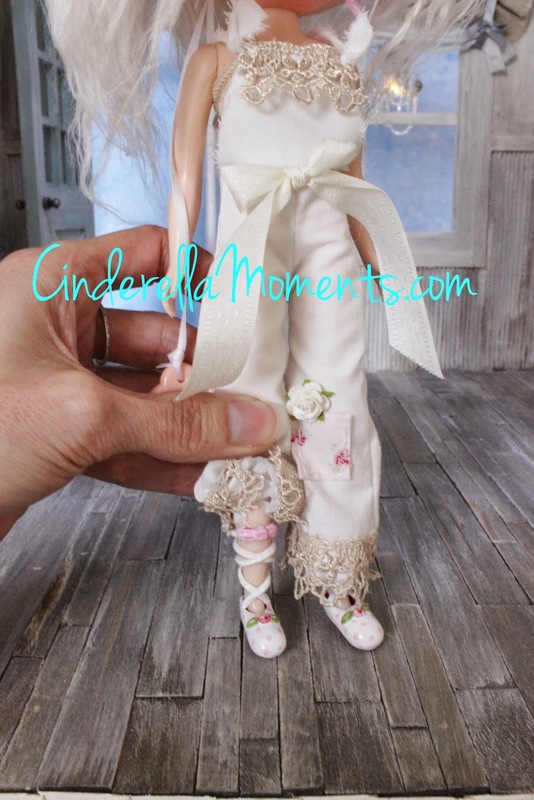 The way that you have dressed her is with the overalls and a crown and ballet slippers, well all I can say is the clothes capture all of this doll's personality and charm. 5 out of 5 STARS Caroline! Thank you Elizabeth! You are so sweet! Once you sand off the shine it's really easy to re do her features. For the nose I sanded it to a different shape and also Carved her nostrils and around the outside of her nose. Who knew plastic could be so easily reworked! Oh my God!!! 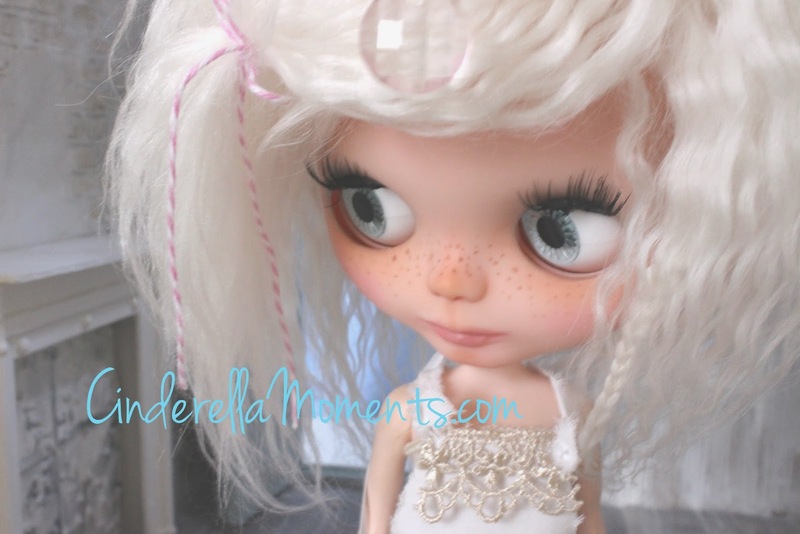 I'm sooooooo happy that you have started making Blythe dolls!!! 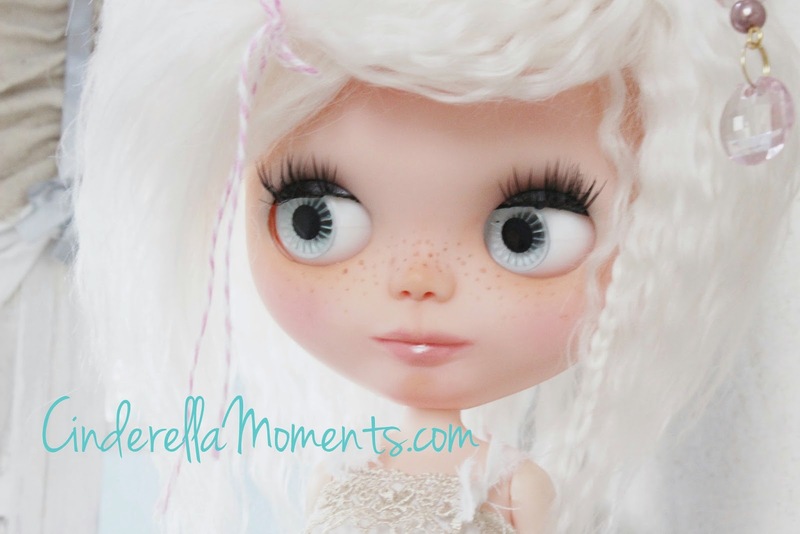 I wanted to buy a doll for a while now and I wasn't sure about which doll to get but now that you are making Blythe dolls I'm going to keep my eyes open on your dolls!! She is absolutely gorgeous and I couldn't believe at the transformation!!! The before and after pictures are crazy...it doesn't even look the same doll!! I'm sure she is happy of this fantastic make over....you gave her a new life and a wonderful new face and clothing. This makeover is extraordinary, Caroline, what a change on this dolls. She is completely unrecognizable........in a very positive way :D! But you wrote that you 'carved' her face?? Is that possible with these kind of dolls (I hope you still know you that I am not familiar with this kind of dolls), so carving.....you mean with a knife, or something? Wow, you can't see it on the pictures, that is incredible work! She looks awesome in her new clothes and her new home: great work!! She is absolutly wonderful and I hope she will find a good mother ! The new name is FABULOUS!!! I love the photo too. It's all very glamorous- you're right! U never cease to amaze me. I love her new look. She's beautiful! Really stunning work on this doll! 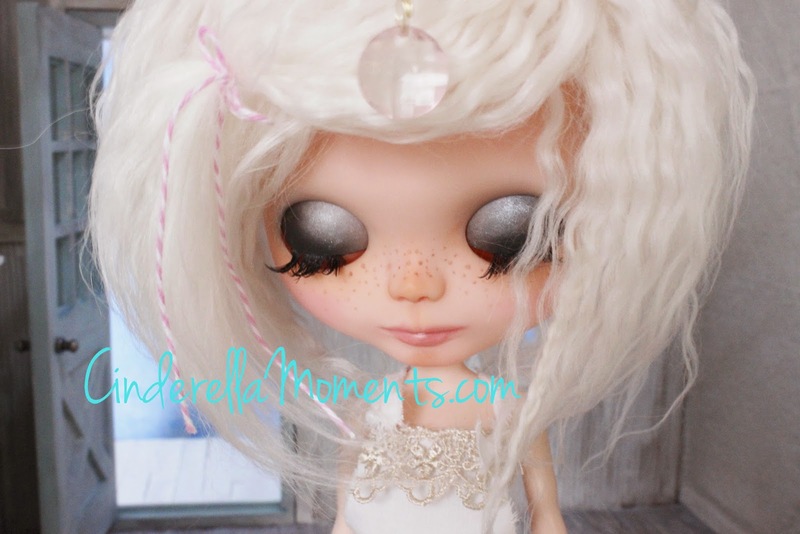 The freckles and blush on her skin makes her look so warm to the touch! Of course her clothing style is just magic as well, working magic with your many hats has astounded again lady! Superb! Ha quedado preciosa, menudo cambio le has dado. Me encanta su pelo, es algo que también tengo que hacerle a la mía. La corona es de lo mas original. Now she is wonderful. I like her look. What a wonderful transformation! Brigitte is so beautiful now. I love the eye shadow too! 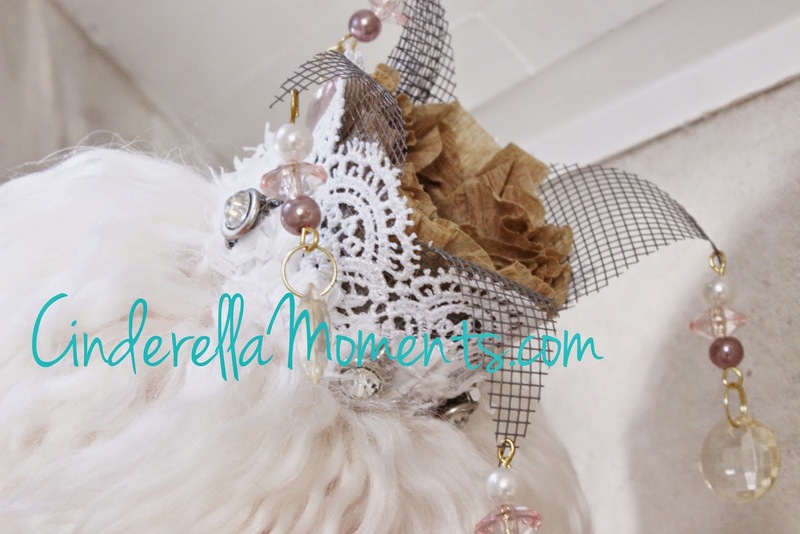 This is definitely a Cinderella Moment!!! Чудесное перевоплощение! Получилась прекрасная принцесса. Прямо сказка о золушке. А вы добрая фея!! Очень красиво! Восхитительно! I can't believe it.........she is already gone!!! Sold!!!! I knew it....she was too beautiful to be staying too long with you and the price, I think, was just great!!! Well done Caroline!!! Wow! I can't believe you made that. The makeover is truly extraordinary! I'm too afraid to start carving in my doll =) I can't believe this is your first try!! How?! 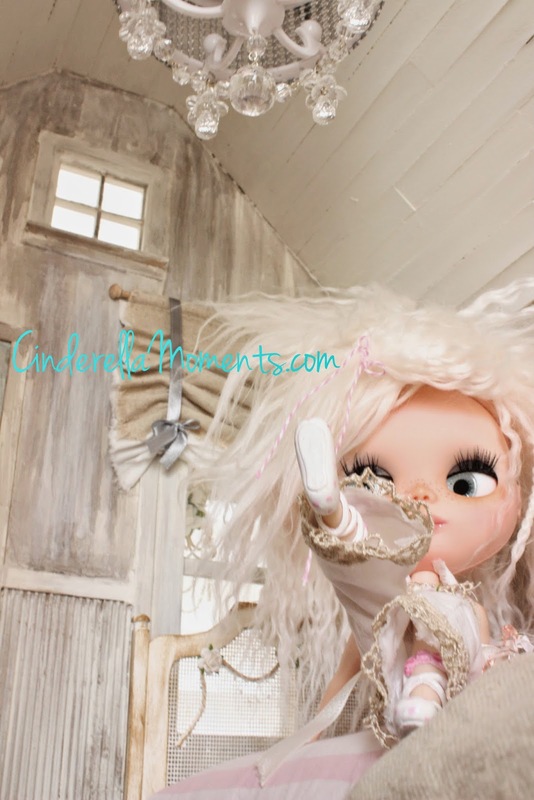 Your just great at this too =) Hope there will be many more Blythes frome you, I really look forward to see more! Wow she is gorgeous. 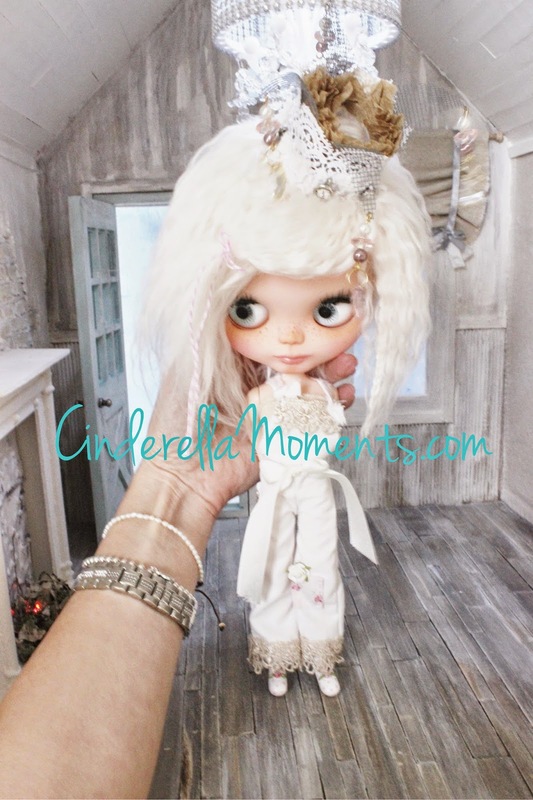 Like Ilona I don't know these dolls but you done a fantastic job on her. I love the cute freckles. Hi Caroline, I love what you have done to her...she is adorable! You really did a good job with her. 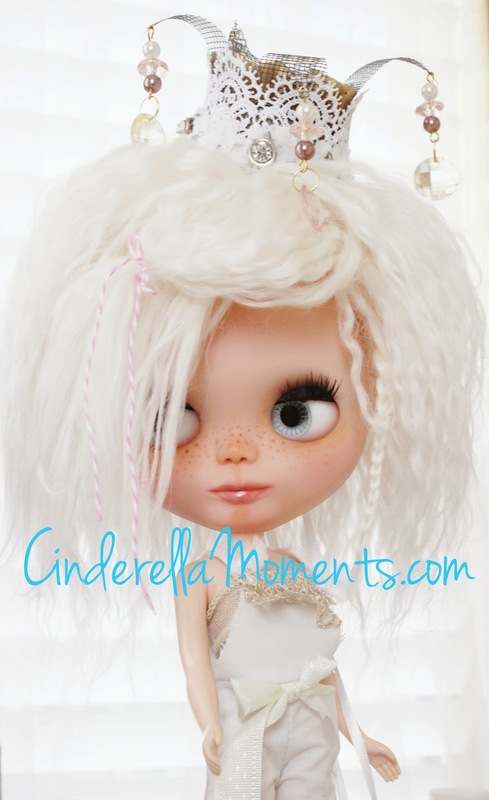 I bought 2 Blythe dolls and have yet to work on them...I have hesitated because I have never done it before. But now I am inspired! Hope you are having a lovely summer! 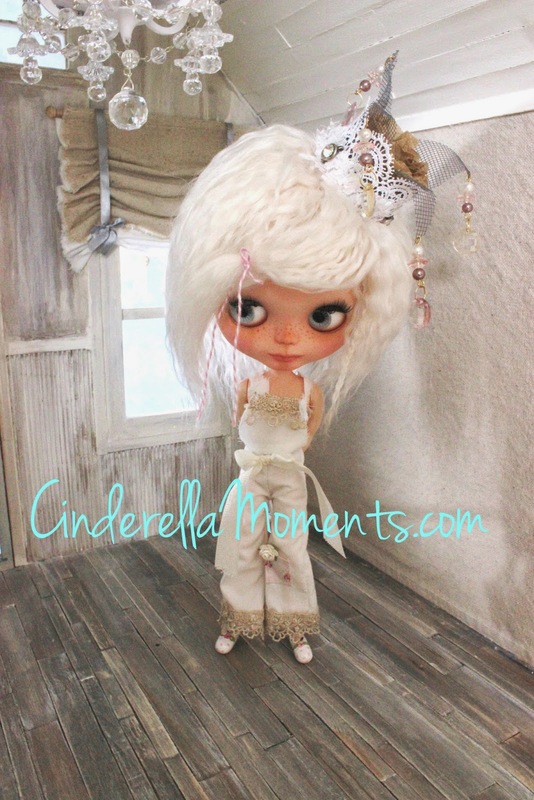 It's amazing what you can do with a Blythe doll, I'm stunned. 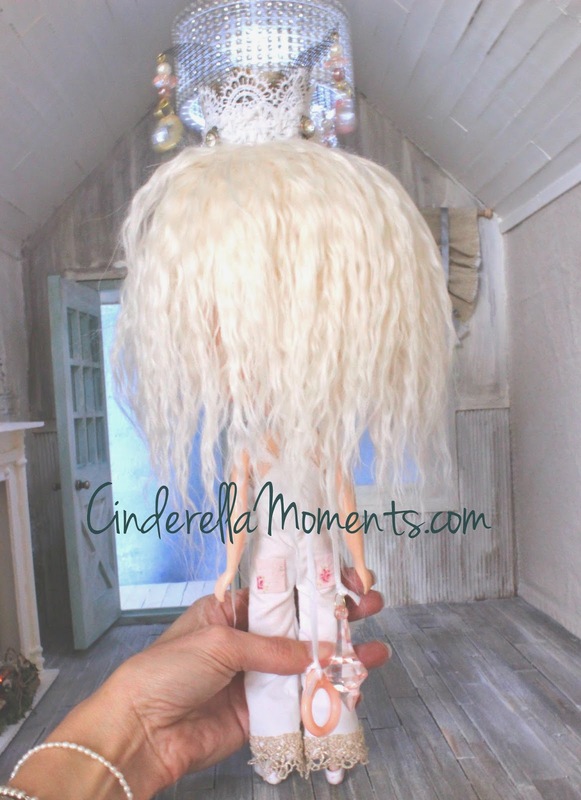 I love what the doll has become.